This is too bad. It’s 3:40 and I still can’t sleep. It’s gonna be matchsticks to hold open my eyes at work tomorrow…. na wa. I arrived late at TNR after spending the early evening in church praying with my wife. Well guess what TNR coincided with our 13th wedding anniversary. As I arrived, the traditional group photo was being taken. I screamed wait for me but alas all 24 of them rode into the beyond. It was the longest hop on a bike for me. Finding somewhere to park and getting ready. Anyway I saddled up and hoped to join the peloton at the bottom of the LLB, but simply rode on …caught up with Dr FO. It was a pleasure meeting him and we ended up having good chinwag about our histories…. until the peloton caught up with us on the stretch to the French Embassy (FE). It then goes back to the data screen after the hairpin at the FE. Does anyone know how to disable this features? I also wanna say big thank you so to Heglus Neglus and the Faizometer for bringing the SAGs. Those guys do a great job. They are also kinda encouraging but the protection is really good. The great Deji Show peeled off early as he had already put in some yardage before TNR started…. clever guy! But then the attrition started. By the end of the 3rd loop, there were only 9 guys left on the saddle…. and at the end of the 4th only 6…wow from 24. Even my broda, elder and boardmember left before the end of the 5th loop na wa….. Nothing do you brosye! I dey long side with you oooo. Watching you on the bike is poetry in motion….like air walking ooo. Early on in the TNR the greatest rocker aka TLEGEND the kiloclocker asked me how I was doing …. I told him it was a struggle but I am still cycling. I told him that his posture on his bike looked so relaxed … almost like a lazy person…. but he was always there. He makes it look so easy. What a great guy…. always encouraging me. He said I wasn’t doing too badly myself …. actually I felt like proverbial duck…. Graceful above the water but paddling like crazy underneath. With the attrition, the ride became quite honest…. imagine now…. we have…. 5. Elder, the co- Board member, the black mamba, the professor, my us-us we-we broda. And poor me…. it was them and me. I knew I was a fish out of water!! I couldn’t understand how I saw my self cruising at 40kph and yet they were still pulling away from me. Poor SAGs …. after a while the would drive past me to join the front liners. Guys thanks for always waiting for me though.. real nice touch. I remember asking FB what the target was just before the 5th loop… and he said “I don’t know”… I knew at this point that trouble dey … pure killer bees. It is difficult for me understand how we can cruise at 40 and I coped with it …..but then, they just pull away from me – just frustrating…especially losing the draft . I will be telling my body..you can do it …you can do it…. you can do it… na lie…I guess one day sha! Should I stay or should I go…… yep u guessed right …. thanks to all my guys listed above for always giving me a pull when required… awesome team effort…. really makes it enjoyable. Wifey called on the 6th loop and declared we were running out of anniversary day hours…(Bluetooth device handy) I promised to make it up to her …. by gisting with her all the way home after racking up…. and so I did TNR with 70km on the clock. There is nothing boring about TNR. 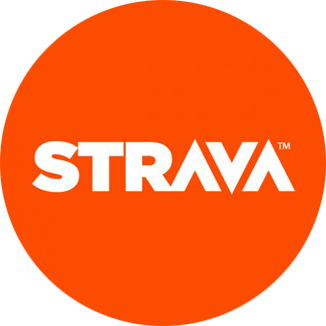 In fact after my first TNR, my strava was plastered with Personal Bests…. I am sure this one will be like that too.